eXtreme Parallel Processing | 1. SOFTWAROVÁ s.r.o. The tool is using Advance Queue Messaging generic way. It’s offering user friendly API for automatic creation/using/maintenance/delete of Advance queues. Over the Advance Queue Messaging is configurable parallel processing to split the use of full power of more than one CPU. Solution based on Advance Queuing. When it is useful to use XPP? Is your current processing task complex and depending on CPU? 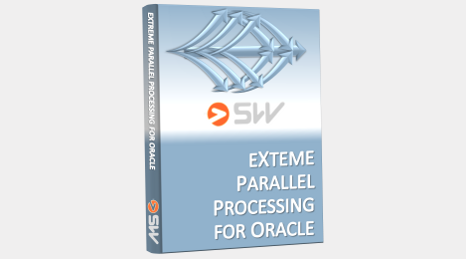 If your answer is yes, then our product eXtreme Parallel Processing for Oracle is exactly for you. 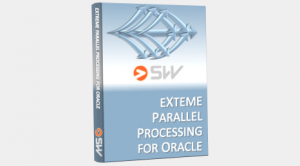 The eXtreme Parallel Processing software is useful primarily in tasks where is required parallel processing is required for using maximal CPU with minimal effort to rewrite current applications. Each of case for processing is processed separately. After successfull processing of COMMIT into database is provided, so you will never loose already processed data. Everytime is possible to select remaining cases to process. Each case processed with error can be easily selected or reprocessed. It can be also used like first aid in case of low performance PL/SQL code. Every operation is committed. It is possible to reprocess every error detected during processing, data remains always in database. After processing every request in XPP it is possible to define your own procedure to mark successfull processing and error(s) during processing.